– On the porch: Bookswap! (1 book out = 1 book in). 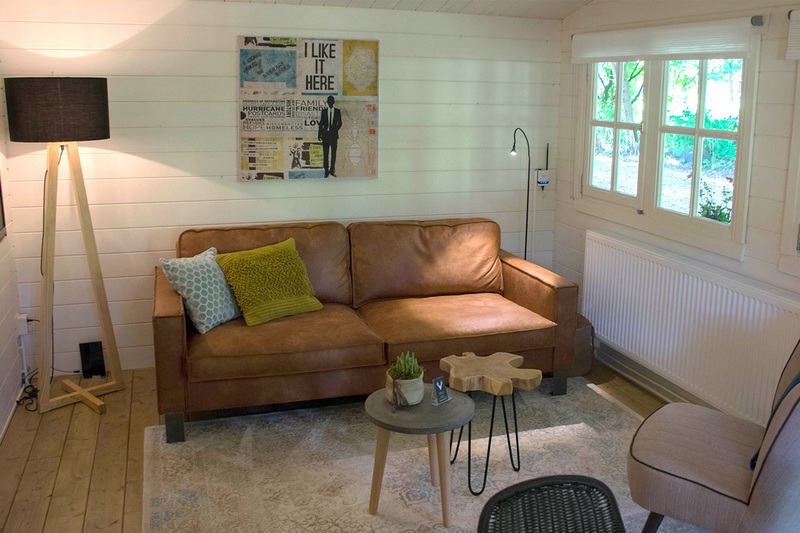 The cabin PUUR ENZO gives you the comfort of home in a vacation atmosphere. 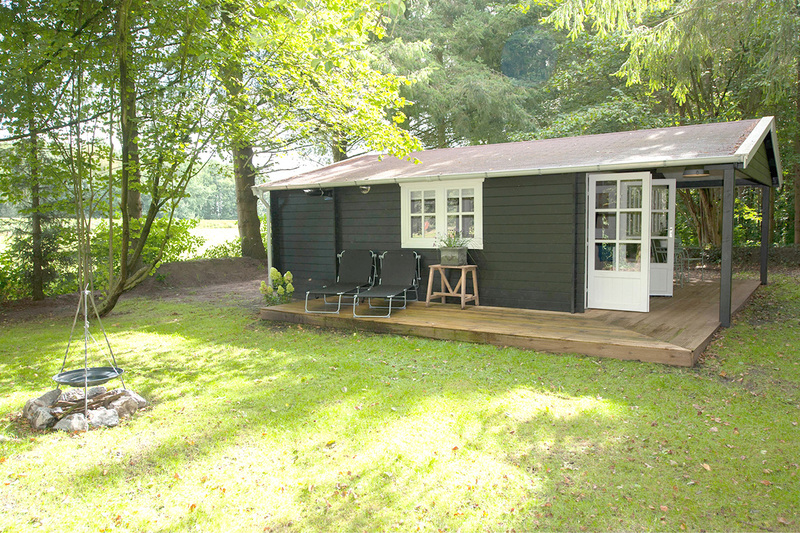 The cabin PUUR ENZO, translated PURE ETC, is more than a Bed & Breakfast. Everything you need is within reach. 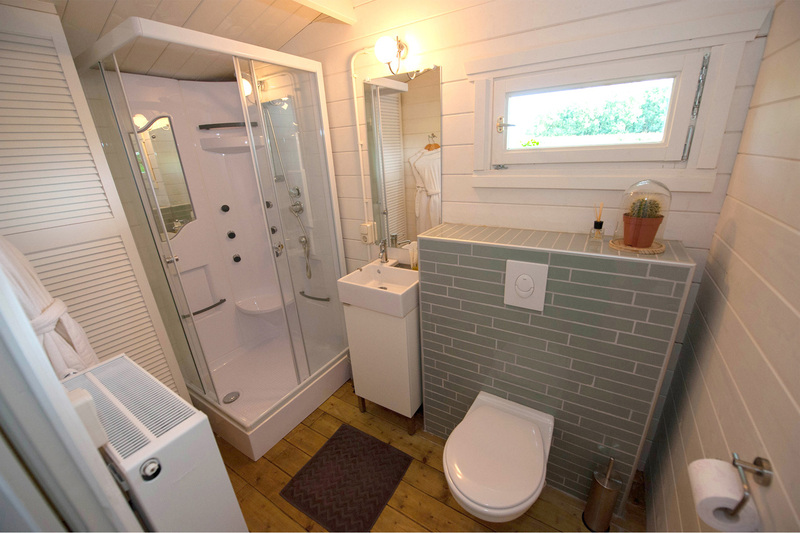 The cabin is, for example, equipped with a complete kitchen, including a microwave oven, stove, and a dishwasher. 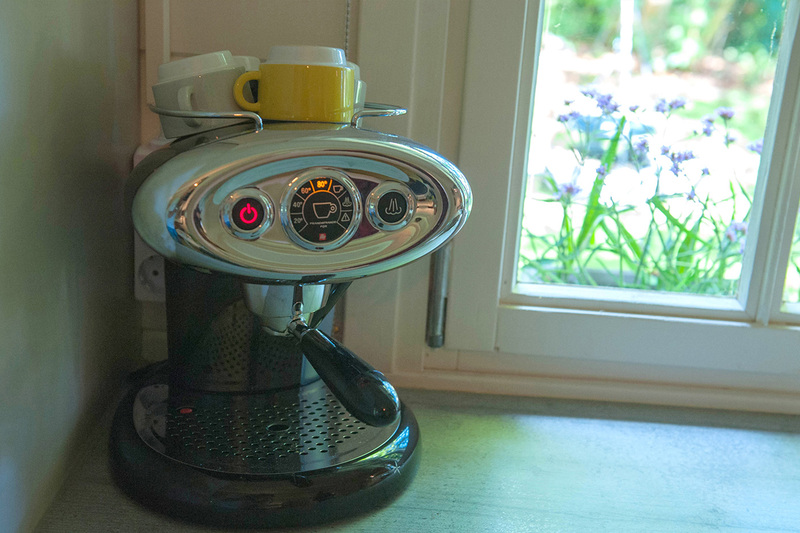 You even have your very own Illy espresso machine for a delicious cappuccino or espresso. 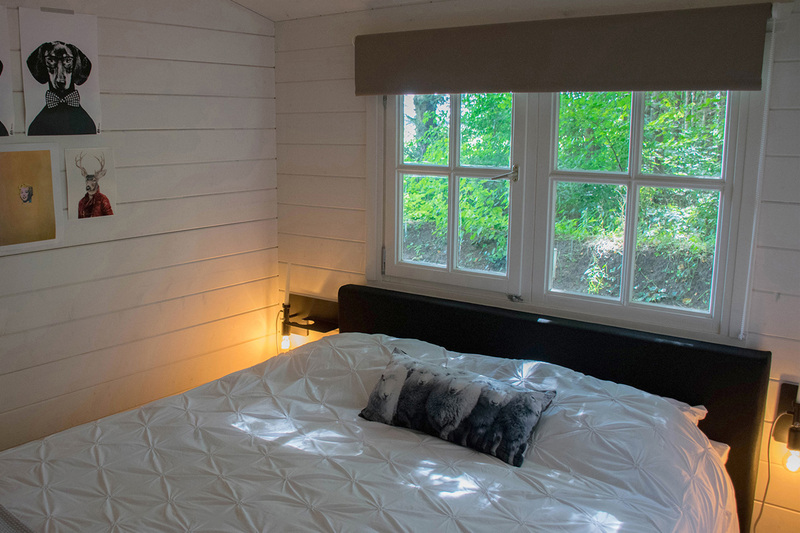 In the bedroom, you will find a comfortable and luxurious box spring bed and the bathroom is equipped with a shower with jets. 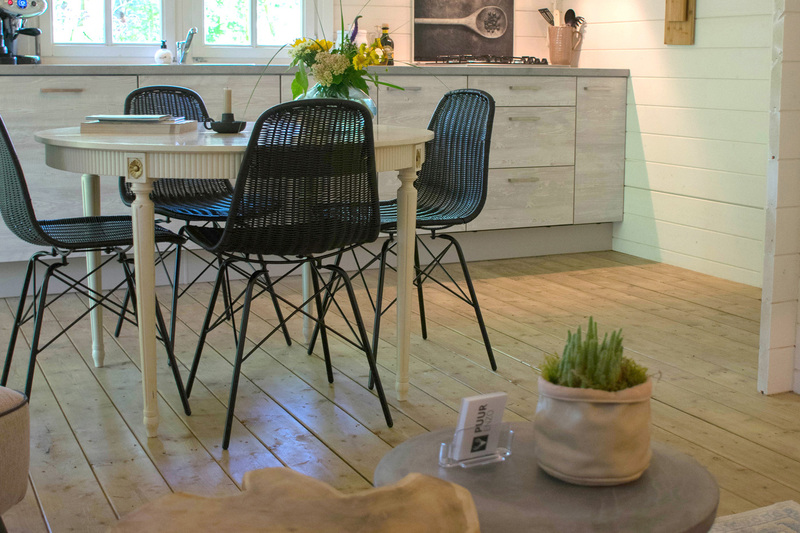 From the stylish and cozy living room you enter the porch, where you can have breakfast in your private garden whilst enjoying the beautiful sight of the river ‘Tjonger’, a natural reservoir with a floral meadow, lake, forest, and meadow. To experience the outdoors completely, you have access to your own fire bbq in the private garden, where you can prepare appetizing meals.